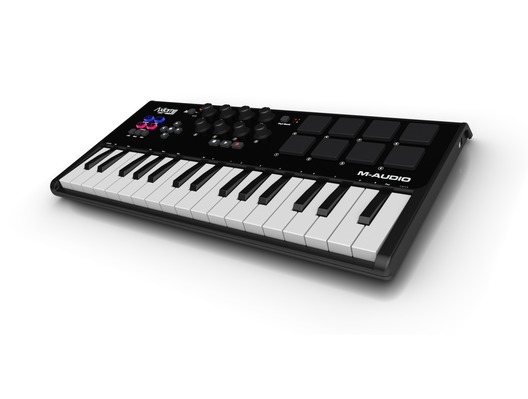 M-Audio Axiom AIR Mini 32 is a compact midi keyboard with superior functionality and ease-of-use. Axiom AIR Mini 32 is perfect for the musician on the move but also for home studio use . 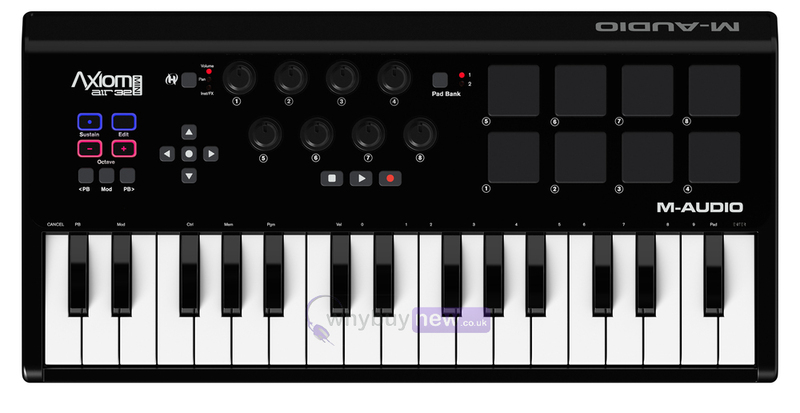 This compact controller features 32 great-feeling mini keys with plenty of room to play. Take control of your sessions with eight knobs, eight drum pads, plus transport and software navigation buttons. Our HyperControl technology instantly assigns the controls to work with your recording software. Completing this powerful package is our Ignite music creation software-providing the fastest path for transforming the ideas in your head into a finished piece of music. Axiom AIR Mini 32 from M Audio offers extensive control, yet remains simple to use. Unique M-Audio 'HyperControl' technology instantly maps the control surface to work flawlessly with your recording software, so it's incredibly quick and easy to setup. Customize your setup right from the keyboard with no editing software required. Save your favorites to the 10 memory locations for instant recall. Add to that dedicated transport and track select buttons for true Best-In-Class capabilities. Axiom Mini 32 comes with M-Audios revolutionary 'Ignite' software allowing you to capture your ideas quickly with professional results. Individual musical ideas are captured as phrases, simply called clips. Multiple clips can be played back together, or even grouped to create more complex phrases and song sections. Ignite provides seamless integration with any current M-Audio keyboard controller. Once connected to your computer, the key parameters will be automatically assigned, or mapped, to the front panel controllers. This tight integration provides an out-of-the-box solution that simply works-with no set-up chores to perform. 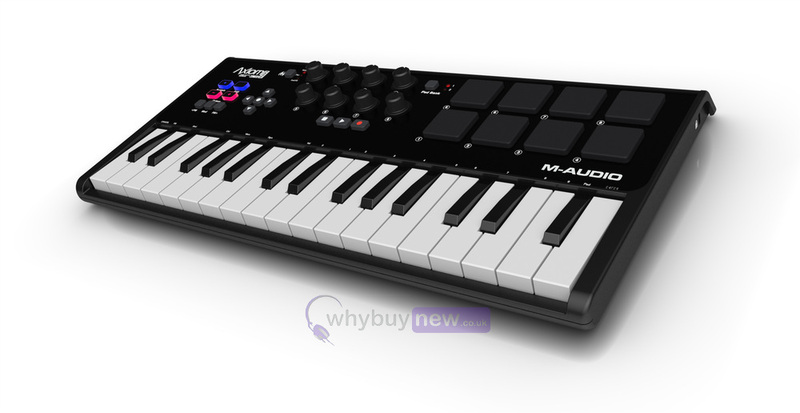 Here we have the M-Audio Axiom Air Mini 32 in brand new condition and in B-Stock. The B-Stock versions would have been on display at a training evening or trade exhibition only and will come boxed 'as new' with all accessories and a 1-year warranty.